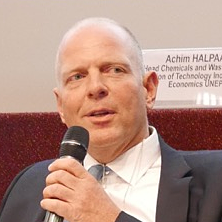 Achim Halpaap is Senior Advisor of the Chemicals and Waste Branch in UNEP’s Division of Trade, Industry and Economics (DTIE) and was Head of the Branch from 2015-2017. He has more than twenty-five years of experience in an international environment and sustainable development research, policy analysis and capacity development in public, academic, private-sector, and non-governmental organizations. 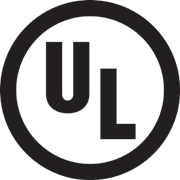 In his previous position, Achim was Head of the Environment Unit and Associate Director of Training at the United Nations Institute for Training and Research (UNITAR). Before joining the UN, he worked at the Bayer Corporation in the Chemicals and Waste Management Policy Section of the Environment Policy Department, focusing on chemicals and waste legislation. Achim had research appointments at the University of Cape Town (South Africa) and Yale University (US) and holds academic degrees from Yale University (PhD), the University of Oregon (M.A. ), and the University of Bonn (B.Sc. ).